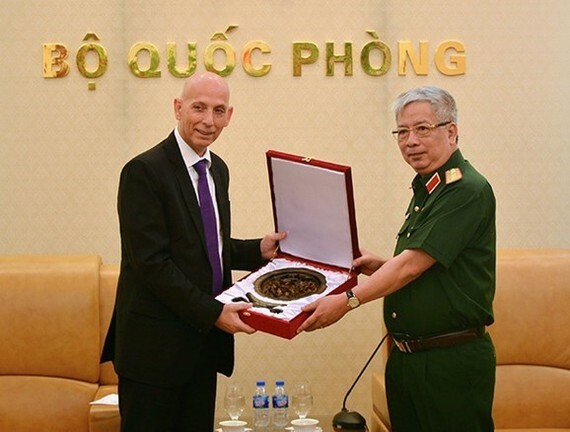 Deputy Defence Minister Nguyen Chi Vinh hosted a reception in Hanoi on May 8 for Director of Israel’s Defence Export and Cooperation Agency (SIBAT) Mishel Ben Baruch, who is on a working visit to Vietnam to seek ways to strengthen bilateral defence ties. Stressing positive development in the Vietnam-Israel defence relations, Senior Lieutenant General Vinh showed his hope that the SIBAT delegation’s visit will help enhance the ties. He affirmed that the Vietnamese Defence Ministry’s leaders will create all favourable conditions for the delegation to meet and seek cooperation opportunities with Vietnamese partners in line with Vietnam’s law. He suggested both sides speed up collaboration in education, training, search and rescue missions, and defence industry. 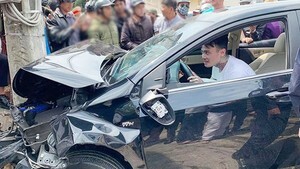 For his part, Baruch informed the host of the outcomes of his working session with representatives from the Vietnamese Defence Ministry’s Department of Foreign Relations. The Israeli side is willing to boost defence cooperation with Vietnam, especially in education-training, search and rescue missions and defence industry, he affirmed.